Having a successful business is not an end in itself. It’s meant to serve a higher purpose; namely, sharing that success with others. Arsalan’s personal fulfillment is to contribute to others in spreading our knowledge and experience. The industry is lacking in providing salon owners the tools necessary to become stronger, more aware business owners. We see ourselves as a channel, a means to support and give back to the industry in ways it has given to us. Arsalan Hafezi is fond of saying, “Knowledge is not power; knowledge is potential power – power that’s released only when it’s put into practice.” This is a crucial distinction to make in order to understand who we are as a company. We have no interest in training, coaching and mentoring that merely delivers information to the mind of the salon owners we serve. Instead, what we’re after is providing an educational experience to our guests that truly equips them to perform the actual, practical work their businesses need to thrive. One of the things that excites us most about the opportunity we have with our partner salons is the privilege to help them achieve the dreams they have for their businesses. We want to see them grow and develop to the point where they realize their full potential. One of the many benefits our 30 years of experience in the beauty industry has given us is that we can see the potential that others don’t have the eyes to see. And to be able to communicate that to salon owners and to witness them truly believe it for themselves may be the single most rewarding thing about the work we do. There may be nothing more thrilling than to see a partner salon grow and develop into something greater than it ever thought it could be. 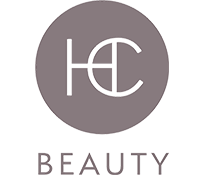 For us at HC Beauty, excellence implies an extreme attention to detail and a relentless pursuit of the ideals of elegance from the perspective of the guest. We are able to achieve this because of our ability to put ourselves in the shoes of the salon owner in a way that is unmatched in the industry, enabling us to lead the way to excellence through excellence.